Dr Mahesh Kumar Mummadi has joined NIN in September 2018. He graduated (MBBS) from Prestigious Kakatiya Medical College, Warangal in 2008 and had Post graduation MD in Community Medicine from Mediciti Institute of Medical Sciences, Hyderabad from in 2015. 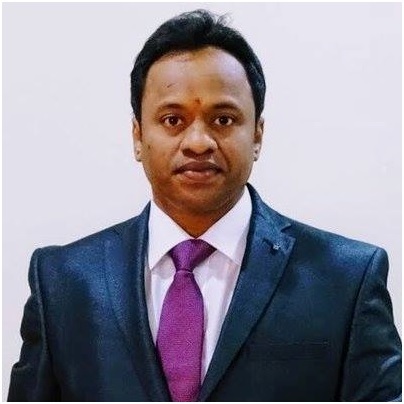 His MD dissertation is on Diabetes in Young Adults in Rural Telangana.He has Fellowship Cerificate in Diabetology (FCD) and Fellowship Cerificate in General Practice (FCGP) awarded by Indian Medical Association- College of General Practitioners (IMA-CGP). He has Participated actively in National and International Conferences related to Public Health, Non communicable diseases and Nutrition. He has also participated in Telangana Government’s health Programmes as an External Assessor in WHO-Polio drive, as a State Immunization Monitor in Mission Indhradhanush, as an External Assessor for Kayakalp, as an Assessor in NUHM Urban PHC Assessment.He is an active Member of Indian Medical Association(IMA), Indian Association of Preventive and Social medicine( IAPSM), Indian Clinical Epidemiology Network ( IndiaCLEN) His area of Interest is in Community Health Nutrition and NCDs. Mummadi MK. A cross-sectional study on dementia in elderly persons living in old-age homes of Hyderabad, Telangana. Int J Med Sci Public Health 2018; 7(9):709-713. Das BN, Kanakamedala S, Mummadi MK. Factors associated with utilization of antenatal care services among rural women, Telangana, India. Int J Community Med Public Health 2018; 5:2807-13. Mummadi MK, Kusneniwar GN. A cross sectional study on breast feeding practices among mothers in the urban slums of greater Hyderabad, Telangana. Int J Contemp Pediatr 2017; 4:1606-9. Mummadi MK, Kusneniwar GN. A cross sectional study on respiratory related morbidities at cotton factories in Hyderabad, Telangana. Int J Community Med Public Health 2017; 4:959-61. Awarded with Scholarship from ICMR for “Short Term Studentship STS” 2017 as a Guide to a MBBS student for Proposal on “A study on Severe Acute Maternal Morbidity Near Miss at Tertiary care centre Hyderabad”.